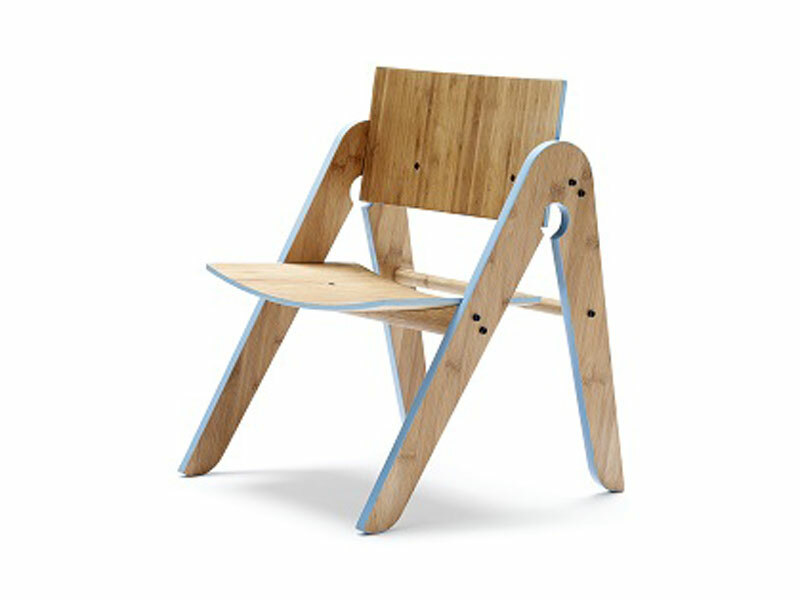 Lillys Chair is a sustainable bamboo chair available at e-side from Henrik Thygesen and Sebastian Jorgensen. This chair has a simple, modern design that is both timeless, eco-friendly and the perfect extra seat to have around the house for your kids and their little friends. Made from toxin-free materials, and its strong construction makes it a smart chair for heavy-duty childhood fun that is light on the environment. Lillys Chair is a sustainable bamboo chair available at�e-side from Henrik Thygesen and Sebastian Jorgensen. This chair�has a�simple, modern design that is both timeless, eco-friendly and the perfect extra seat to have around the house for your kids and their little friends.�Made from toxin-free materials, and its strong�construction makes it a smart chair for heavy-duty childhood fun that is light on the environment.